Texting requires permission from the intended recipient to ensure compliance with federal and industry regulations. Sending unwanted texts can result in the sending phone number being blocked by carriers. All legal responsibilities related to texting are the sole responsibility of the organization. When the Contact / Student receives the email and clicks on CLICK HERE, they will be directed to a web browser page with the option to opt-in or opt-out. 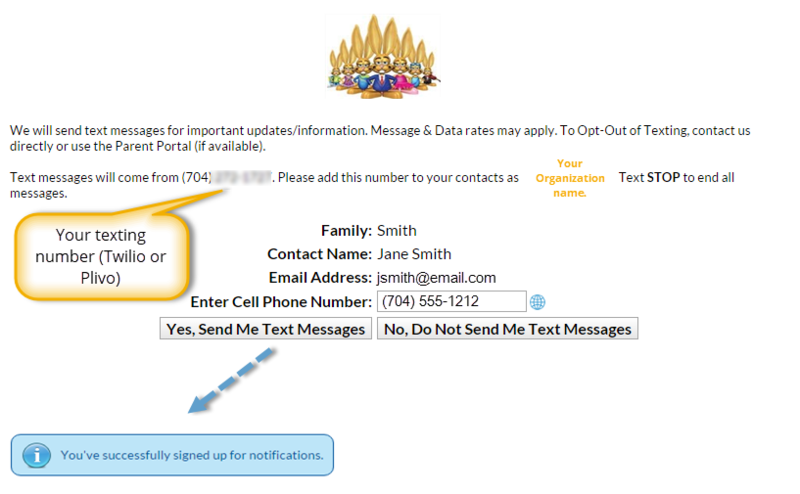 When you have already begun this opt-in process and you want to send another email to ONLY those families who haven't yet opted in set the search criteria Include Text Opt-In to Not Opted-In. 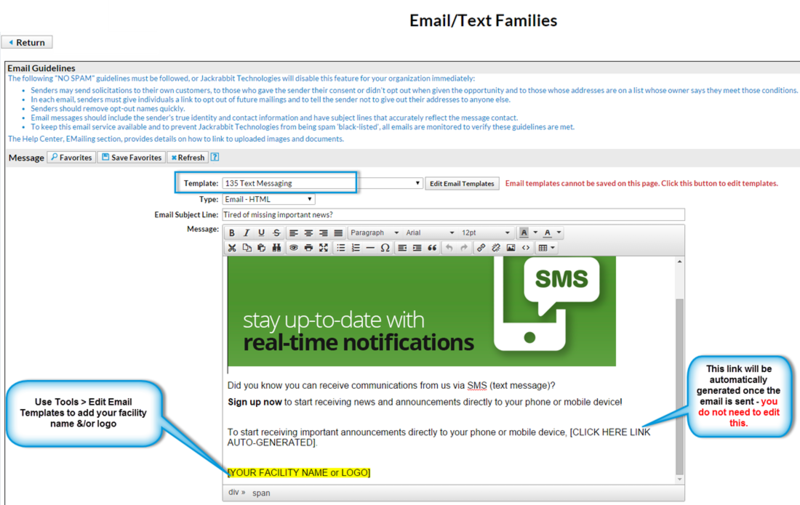 Existing customers can enter a cell phone number and choose (give consent) to receive text message notifications using their Parent Portal. 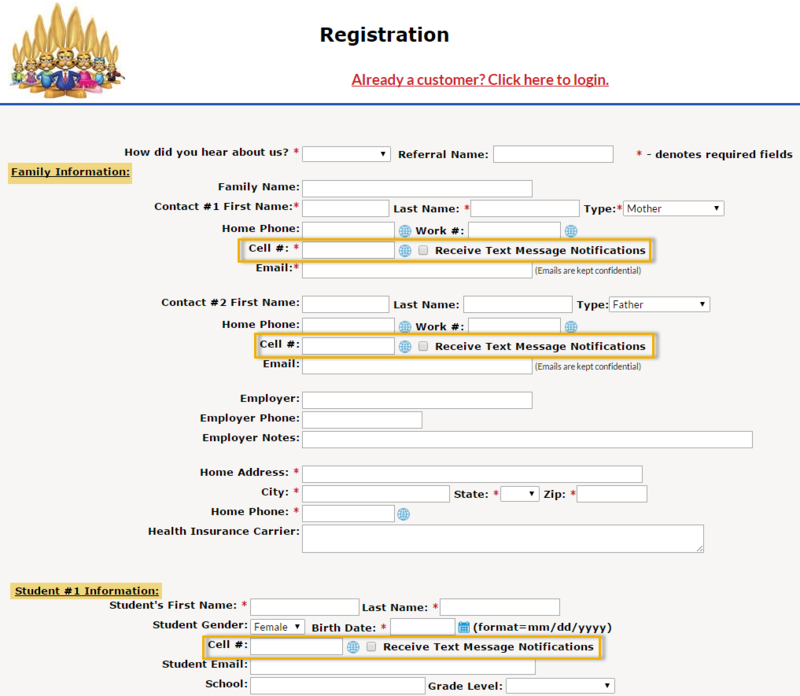 The option is offered for Contacts as well as for Students. New customers can enter a cell phone number and choose (give consent) to receive text message notifications when they register using your Web Registration form. The option is offered for Contacts as well as Students. A Jackrabbit user with texting permissions can opt-in Contacts and Students when submitting a Quick Registration (Families > Quick Registration/Add Family). 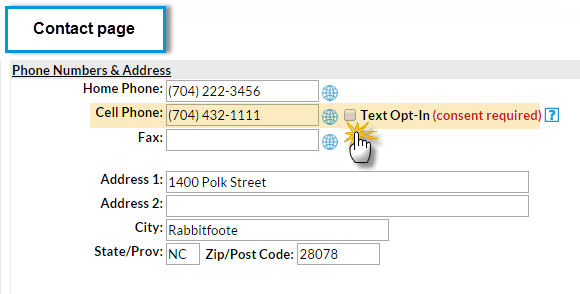 A Jackrabbit user with texting permissions can check the Text Opt-In checkbox for a Contact or a Student. This checkbox is located next to the Cell Phone field on a Contact's page and next to the Cell Phone field on a Student's Summary tab. After checking the checkbox, be sure to Save Changes. 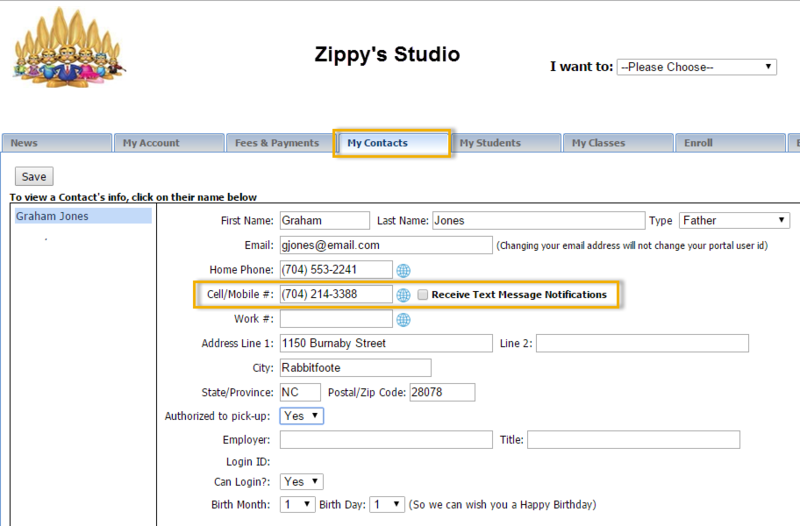 A Jackrabbit user with texting permissions can opt-in Contacts and Students in mass. This process will only enable texting for recipients with a valid cell phone number who have never opted in or out before. Recipients who have previously opted-out will not be included. Point to Tools > Edit Settings > Text Messages. In the Options section, click the Opt-In Contacts button / or the Opt-In Students button. Read the pop-up text and check the "I agree and confirm consent has been obtained..." checkbox.